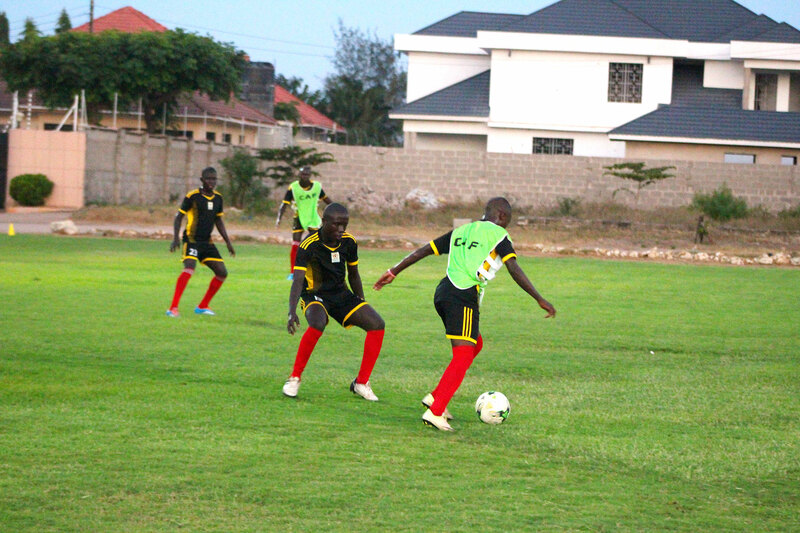 The Uganda Cubs have conducted their second training session at Boko Beach Veteran Stadium ahead of the U17 Zonal CAF Qualifiers campaign that kicks off on Saturday 11th August 2018. The team traveled on Tuesday and arrived same day in the evening to prepare for the tournament, it underwent the mandatory CAF MRI tests on Wednesday before conducting their second training. Peter Onen, the U17 head coach said his boys are confident that the trophy is coming home and are ready to take on their opponents. “The boys are ready to play good football and they also want to qualify for the AFCON qualifiers so their dreams come true, said Onen after Thursday’s session. He added that he’s not afraid of the neighboring countries like Djibouti because he has faith that he’s boys also want the win. The boys are resting at Seascape Hotel, Dar es Salaam and there first encounter will be against Ethiopia on Sunday. The winner of the tournament qualifies for the AFCON tournament next year in Tanzania.